City Stork Hostel is located in Portimão’s centre, 2.5 km from the marina and from popular Rocha Beach. Free WiFi access is available and each morning, breakfast is served in the meal area. Located at a 5-minute walk from Rocha Beach in Portimão, Squash Club offers self-catering apartments with air conditioning and access to an outdoor pool. Free WiFi is available at the reception area. 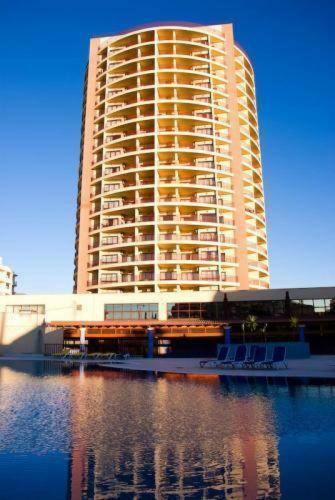 Club Amarilis is situated in Portimão, just a 5-minute walk from the beach. It has a large outdoor pool with sun-lounger terrace and offers apartments with fully equipped kitchens. Amarilis apartments feature balconies with panoramic views.